Deliciously easy, Spicy Asian Popcorn Shrimp Bao for busy weeknights. 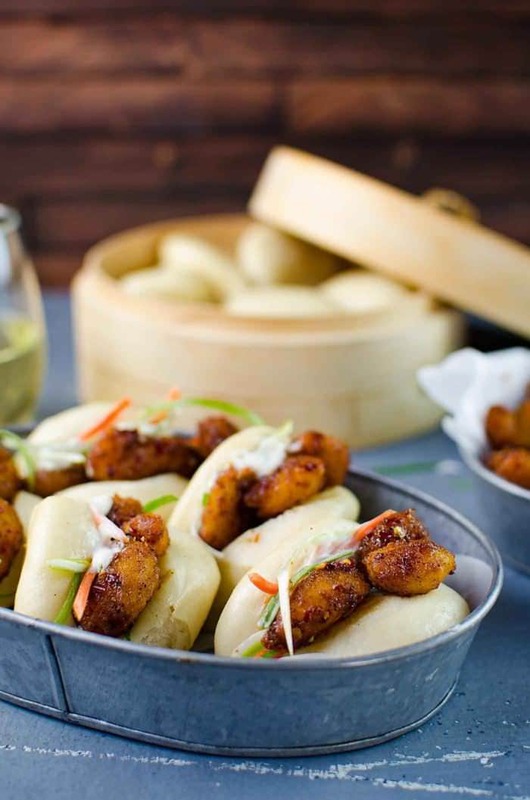 Put together a restaurant-quality, flavor-packed meal in just 15 – 20 minutes with crispy oven-baked popcorn shrimp, tossed in a spicy Asian sauce and then served with steamed Chinese bao buns (or slider buns) with crunchy carrots and spring onions! A good dinner shortcut is worth its weight in gold. Especially one that can produce something as scrumptious as these Spicy Asian Popcorn Shrimp Bao buns for a regular weeknight dinner. Long and stressful days, hungry kids, impatient spouses are no match for this quick weeknight dinner with a distinct Asian flair. Is it a sandwich? Is it a taco? Is it Chinese takeaway? You wouldn’t believe how much flavor can be packed into these little guys with minimal effort. I’ve been ridiculously busy lately while working on a big project, that I’ve been neglecting dinner. The end result is just blah on a plate for dinner. Bland and boring. 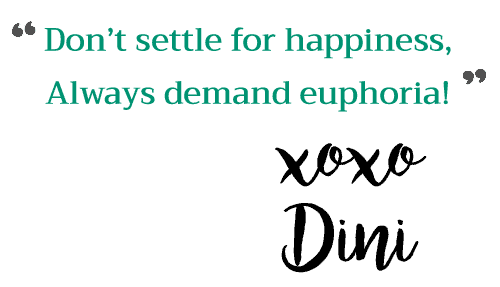 I decided to change that last week and added a couple of frozen goods to my shopping list that I knew would help me make something amazing for our weeknight dinners without hassle. 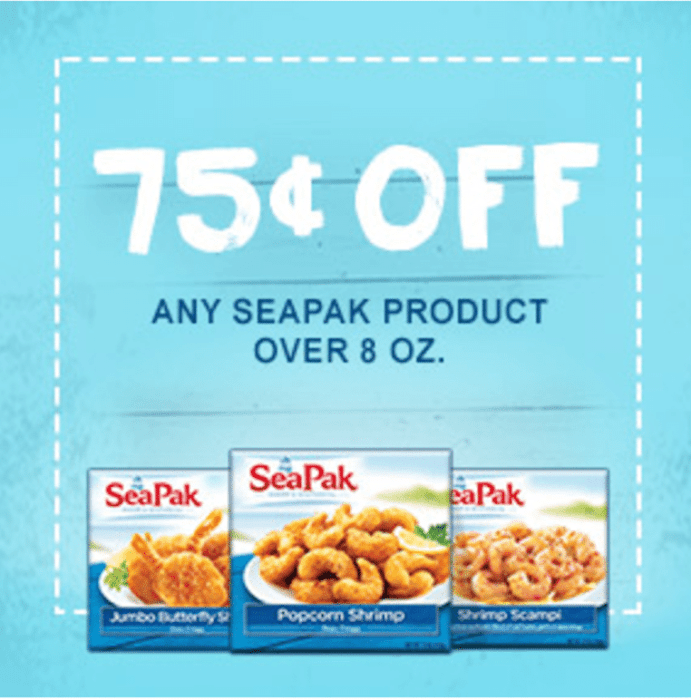 Enter, SeaPak® Popcorn Shrimp! This is a true life-saver for anyone who is short on time but long on wanting a flavor-packed, healthier meal. 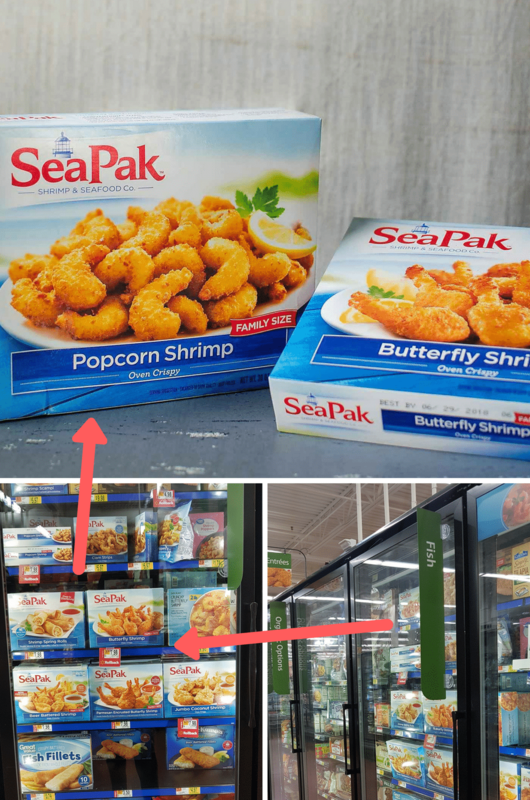 I got the SeaPak® popcorn shrimp and butterfly shrimp that can be cooked in the oven in just a few minutes! These are a great dinner solution for busy nights, and with a little bit of creativity, you can get restaurant-quality meals like this one on the table in just 15-20 minutes. Besides the popcorn and butterfly shrimp, SeaPak® has a range of options for your seafood favorites, and these products are responsibly sourced, and have been tried and tested and loved for over 60 years. SeaPak® also makes weeknight meals a breeze with their new recipe book (with 40 meal solutions and pairings!). 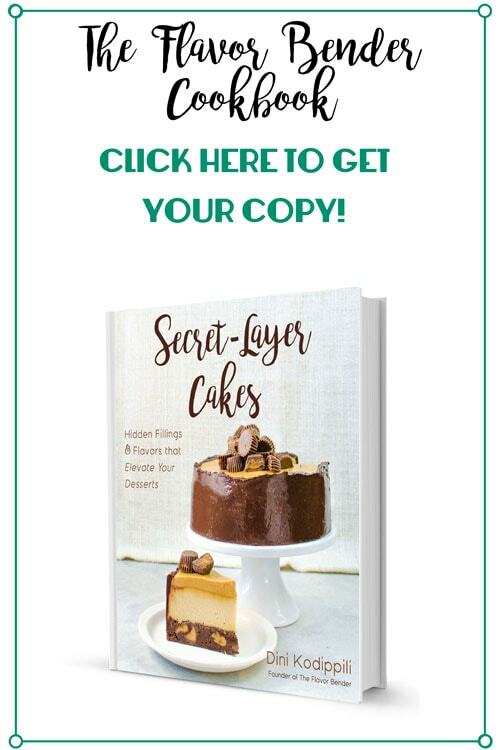 You can receive a free copy of this booklet by using your local Walmart grocery pickup or by using this link right here. The booklet will also be included for first time online shoppers who order between March 1st and the first half of April. These popcorn shrimp are baked in the oven, then tossed in a beautifully spicy Asian sauce (which also comes together in a matter of minutes), and then served inside Chinese bao buns (or even slider buns) with crunchy carrots and spring onions, for these amazingly easy spicy Asian popcorn shrimp bao or sliders (I usually have both bao buns and slider buns in my freezer for emergencies). 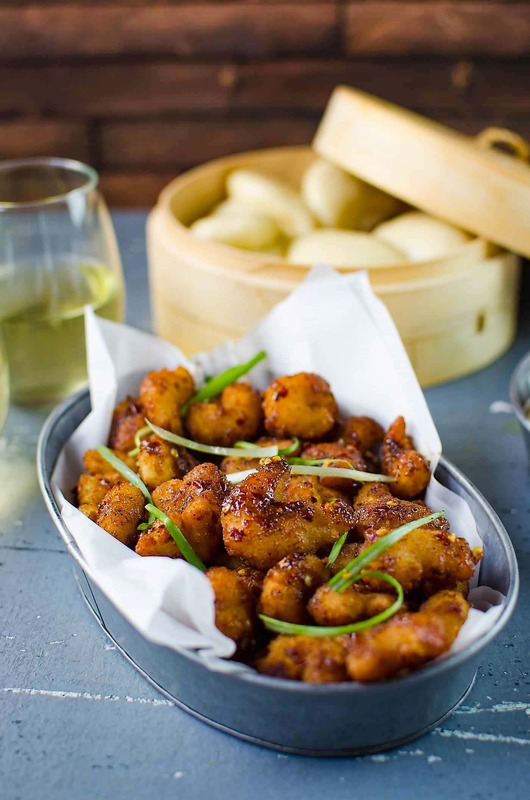 As the popcorn shrimp get baked to perfection in the oven, the Asian spice sauce comes together and the carrots and spring onions can be chopped up and the bao buns warmed up. 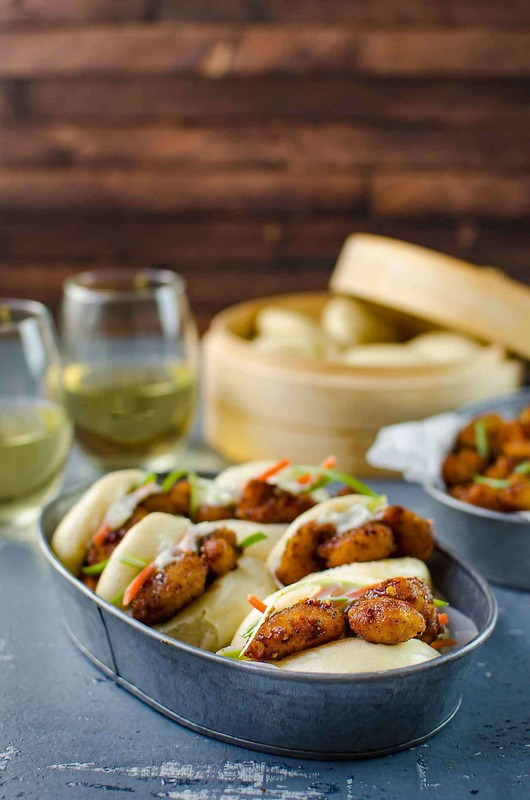 All in just 15 minutes, and you have the rest of the night all to yourself (and these popcorn shrimp bao), to relax with your favorite glass of wine and family. Speaking of… remember how I told you guys a while back about Black Box wines, and how impressed I was with their product for being great value for money with a great taste? This time I got the Black Box Chardonnay, which was a perfect match for this spicy Asian meal. 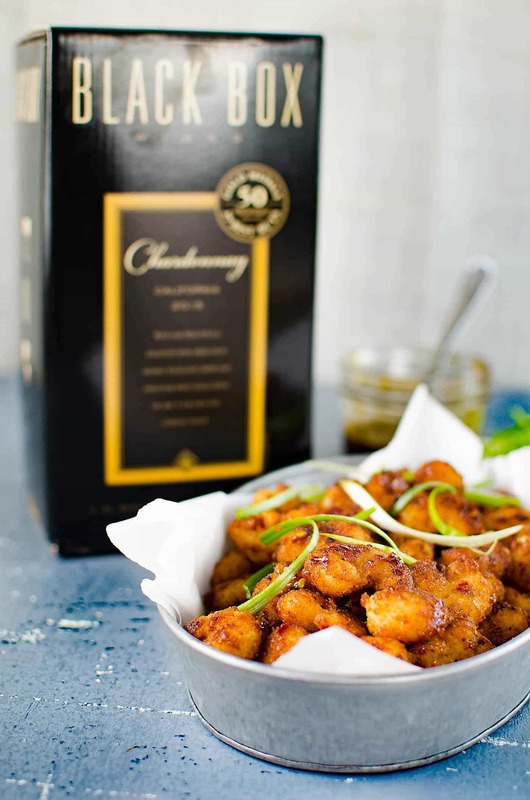 These Black Box wines are a great option for entertaining. Each 3-liter box is equivalent to four 750ml bottles, but it’s 40% less expensive than four bottles of comparable premium wine. That’s a win-win (wine-wine?) no matter how you look at it! They are packaged in an eco-friendly, recyclable box and stays fresh for up to six weeks. I’m a huge fan of these Chinese steamed buns/bao buns, so I actually made my own bao buns for this recipe. 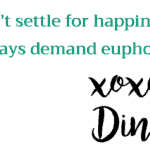 I love making them because they are so easy and super versatile. After steaming them, you can wrap them individually and store in the freezer for quick weeknight meals like this. These frozen bao buns can be steamed from frozen in a matter of minutes. This is one instance where frozen does not mean bland, in fact quite the opposite. Besides the crunchy carrot and spring onions that I use to stuff these buns along with those delightful oven-baked shrimp coated in a spicy Asian sauce, you can add things like salad leaves, coleslaw, cucumber etc. 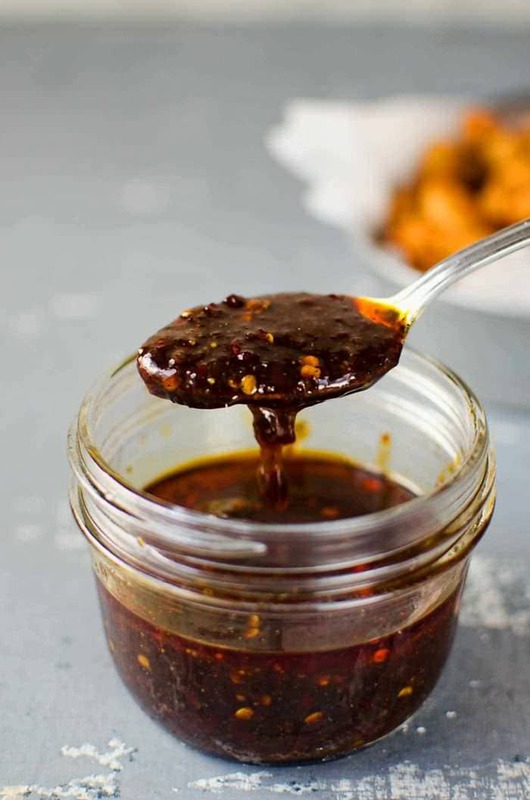 and pair these buns with any type of dipping sauce you like (like this sweet and spicy chili sauce). Prepare your steamer (only if you're using frozen bao buns) - place some water in a saucepan and bring it to a boil with the pot covered. 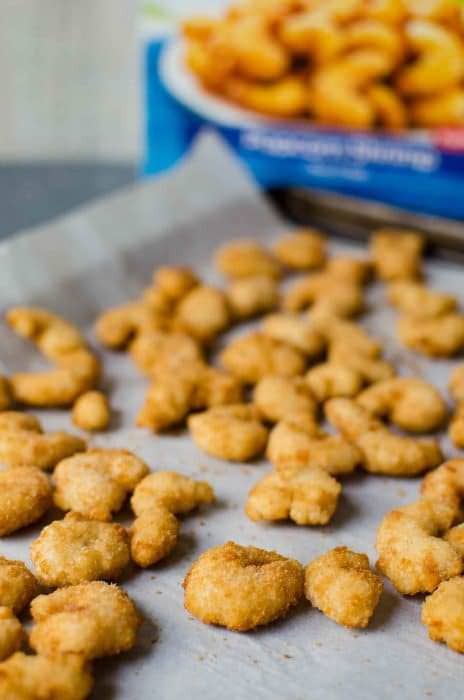 Place the shrimp on a baking tray in one layer and bake the shrimp in the preheated oven for 10 minutes or according to package instructions (turning them over once, halfway through). Put frozen bao buns in your steamer in one layer and when the water is boiling, place the steamer over the boiling water and steam for about 7-10 minutes (or according to your package instructions). While the shrimp is in the oven, add the oil to a nonstick pan, and mix in the garlic and ginger. Heat the pan over medium heat until the garlic and ginger start to sizzle for a few seconds. Add the black pepper and chili flakes and saute for a further few seconds. Stir in the soy sauce and sugar and cook until the sugar is melted. Dissolve the cornstarch in ¼ cup of water and add this to the sauce. Heat while stirring until the sauce has thickened - should take less than a minute. Remove from the heat. If using bao buns - once the bao buns have been steamed, keep them covered with a damp cloth. Once the shrimps have been baked and are nice and crispy, remove the tray from the oven and transfer the shrimp into a large bowl using tongs. 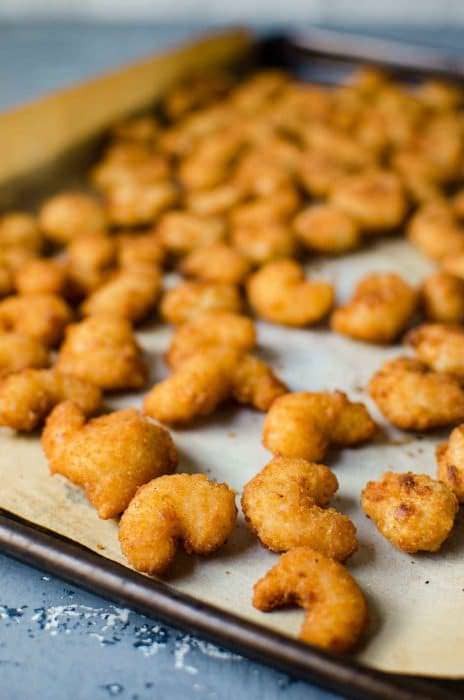 Just before serving the popcorn shrimp, toss them in the spicy Asian sauce to coat them evenly. Serve immediately. 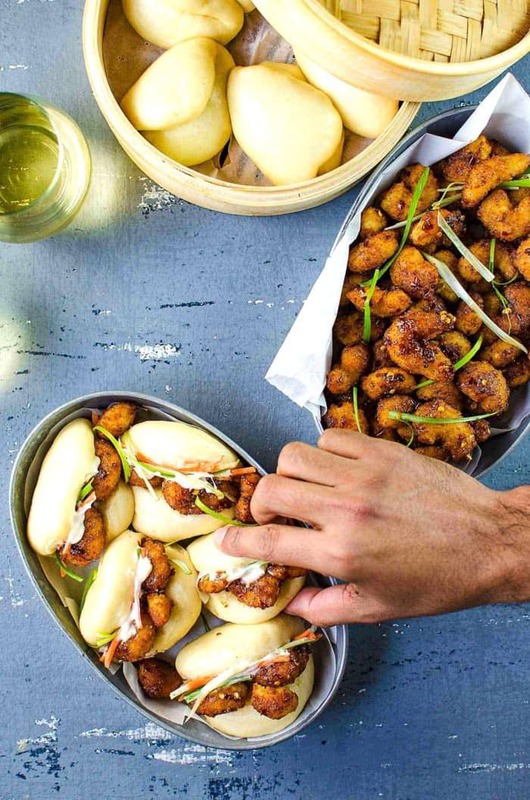 Let your family members or guests assemble their own bao with popcorn shrimp, kewpie mayonnaise, carrots, green onions and other fixins. Enjoy! 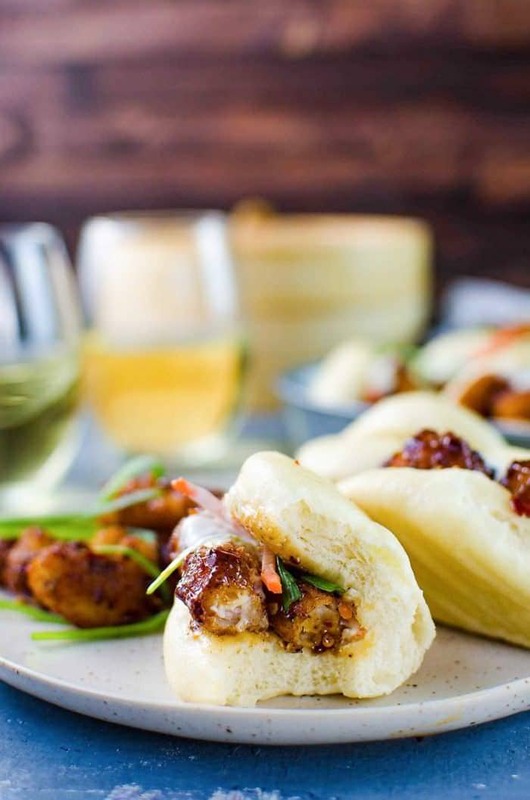 If you liked this spicy Asian popcorn shrimp bao recipe, don’t forget to subscribe for new (and free) recipes by entering your email address on the side bar (and get all these recipes delivered straight to your inbox), so you don’t miss out on a thing. You can find me on FACEBOOK, TWITTER,INSTAGRAM, PINTEREST, YOU TUBE and GOOGLE-PLUS too. This looks delicious!! Do you have a recipe for your bao buns from scratch? I would love to try it out! Hi Christine! Sorry for the late reply. So. Good. I cannot wait to try these out! These look ridiculously crave-worthy. I love spice, I love shrimp, I love cute. These have it all.